The mortal remains of the CRPF personnel killed in an audacious terror attack in Jammu and Kashmir's Pulwama, will be sent to their homes across the country this afternoon, officials said Friday. While a majority of the 37 bodies have been identified, some of them have been mangled beyond recognition. A home ministry official said arrangements have been made to hand over the bodies to the families. Home Minister Rajnath Singh, who is visiting Jammu and Kashmir to take stock of the situation in the wake of the terror attack, Governor Satya Pal Malik, DG of CRPF R R Bhatnagar will pay their last respect to the departed souls in Srinagar before the bodies are flown out of the state. 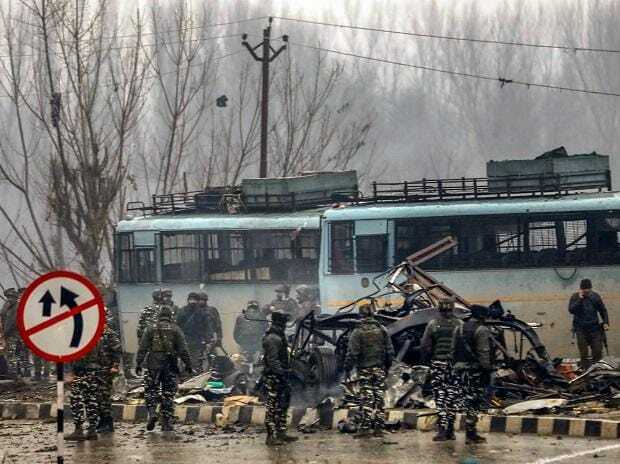 At least 37 CRPF personnel were killed and five injured on Thursday in one of the deadliest terror attacks in Jammu and Kashmir when a Jaish suicide bomber rammed a vehicle carrying over 100 kg of explosives into their bus in Pulwama on Thursday. More than 2,500 Central Reserve Police Force personnel, many of them returning from leave to rejoin duty in the Valley, were travelling in the convoy of 78 vehicles when they were ambushed on the Srinagar-Jammu highway at Latoomode in Awantipora in south Kashmir around 3.15 pm. The Pakistan-based Jaish-e-Mohammed (JeM) terror group has claimed responsibility for the attack that took place about 20 km from Srinagar, officials said.